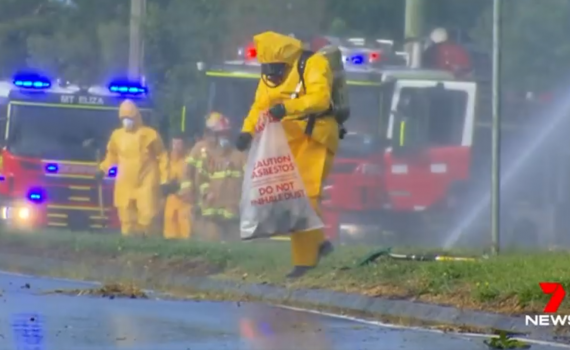 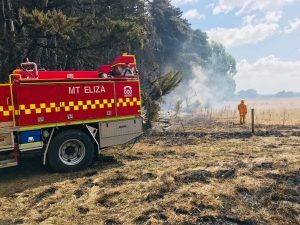 During October, Mt Eliza Fire Brigade responded to a fire call with a column of smoke visible in the area. Upon arrival, our crews found an obscured and unattended burn off on a property south of Mount Eliza. 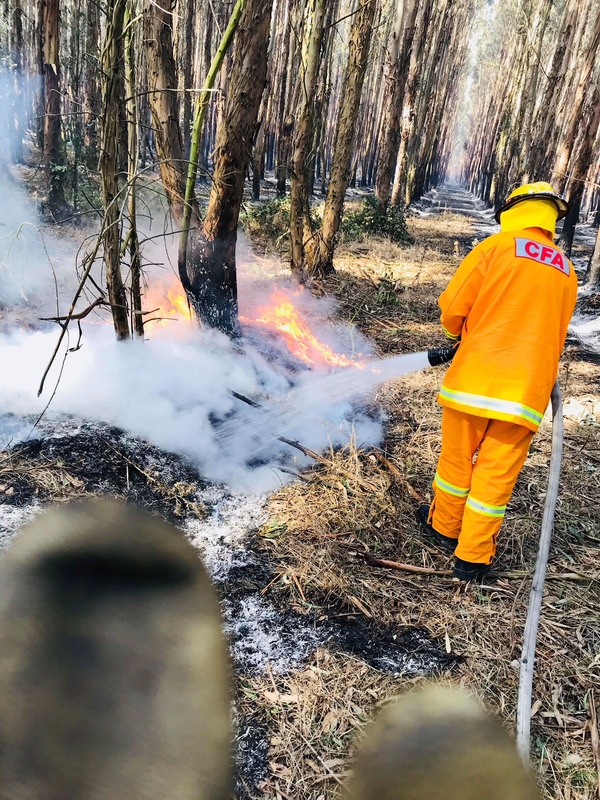 On arrival, which was first on foot, we found a large pile that was 10 x 2 metres in size with tree stumps and other furnishings with embers flying more than 10 metres into long grass. 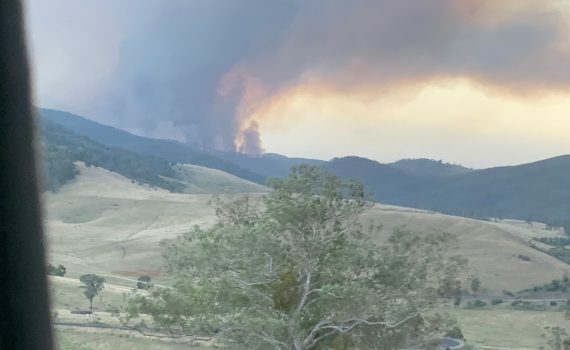 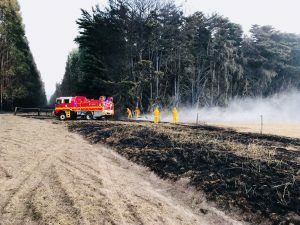 Crews assessed that the fire in its current state was unsafe and required it to be extinguished. 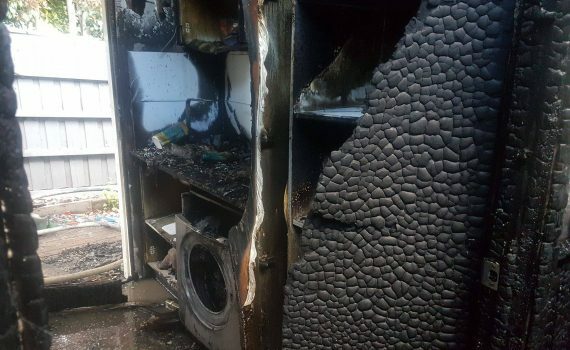 We were unable to contact the property owner and those who lit the fire. 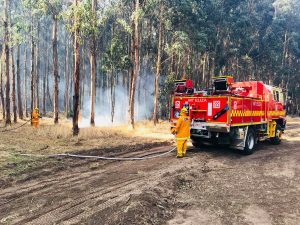 With limited access, our 4-wheel drive vehicle and Tanker crews were able to make access to extinguish the fire. 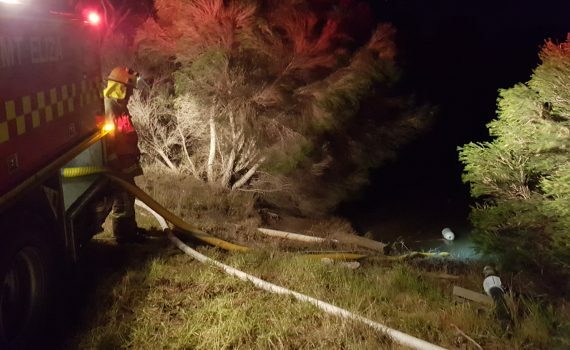 There were no fire hydrants nearby so our Tanker crew used a nearby dam to supply water. 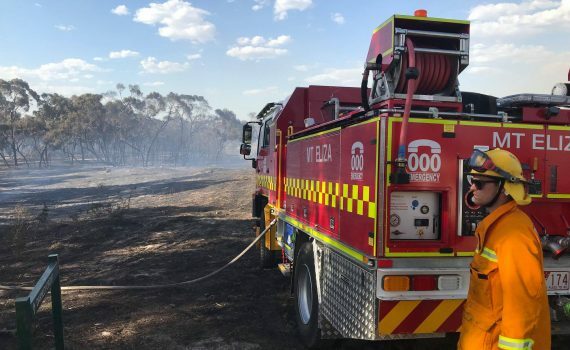 Using 90 metres of hose we were able to deliver water via a divider, which splits the hose into two attack lines for firefighters to extinguish the fire. 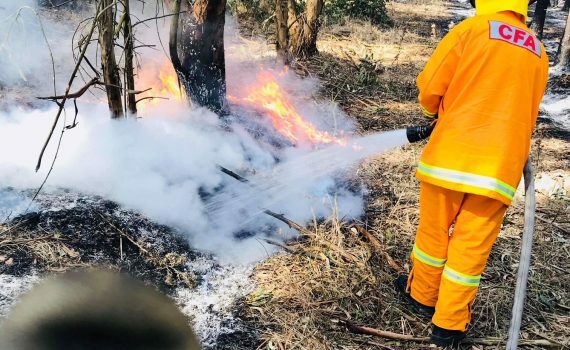 A crew of 10 firefighters used dam water and rake-hoes to extinguish the fire which took 2 hours to complete. 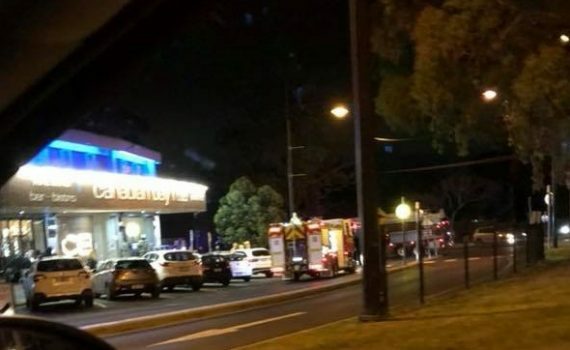 Patrons of Canadian Bay Hotel had an eventful dinner on Thursday 28th August when Mt Eliza Fire Brigade and Frankston Fire Bridge responded to reports of the chimney flue on fire. 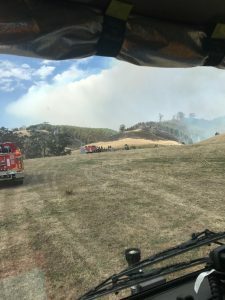 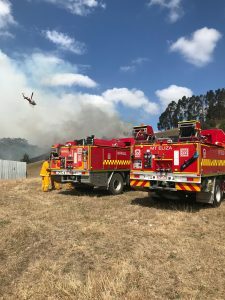 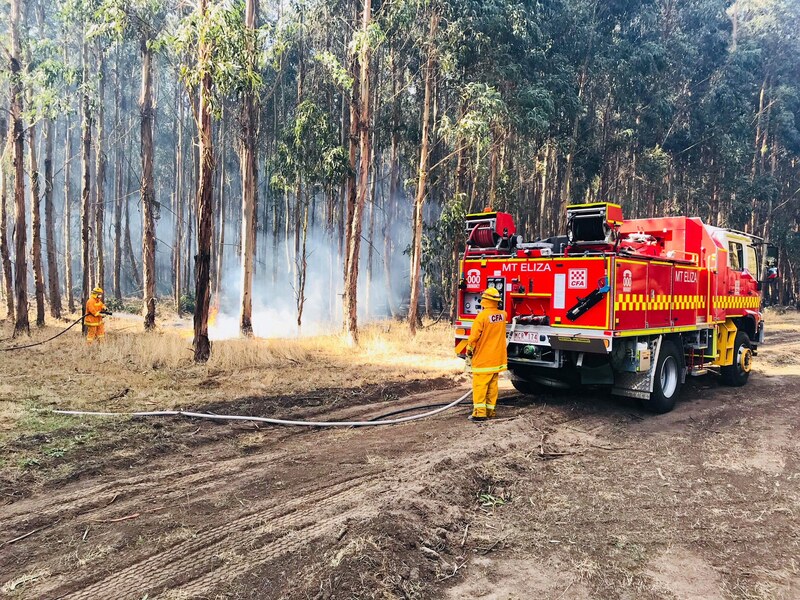 On Saturday January 6 during the hot weather spike, Mt Eliza Fire Brigade members responded to a significant grass and scrub fire at Carrum Downs. 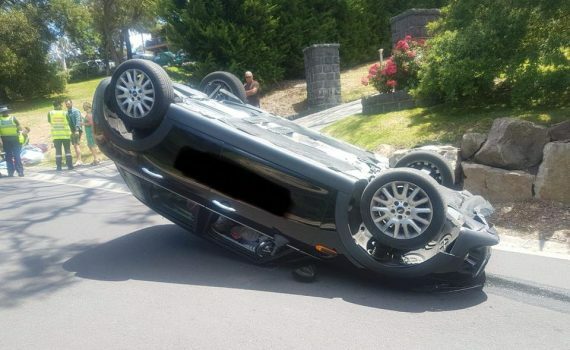 Today (25th December 2017) at 1.30pm as most of our volunteers were sitting down to Christmas Lunch, we received a call out to a car accident with persons reported to be trapped on Eumeralla Grove in Mt Eliza. On Friday October 27 at 2:33 PM our crews responded to a fire on Glen Shian Crescent at Mount Eliza. 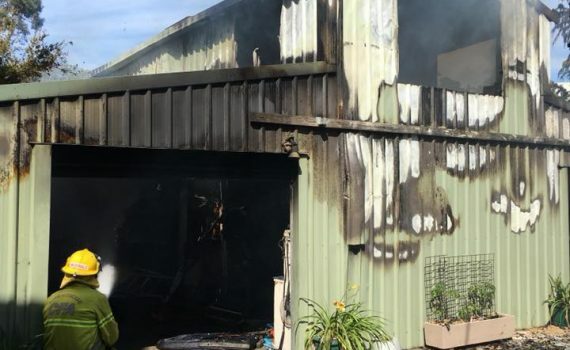 On arrival we found a large two-storey shed fully involved in fire. 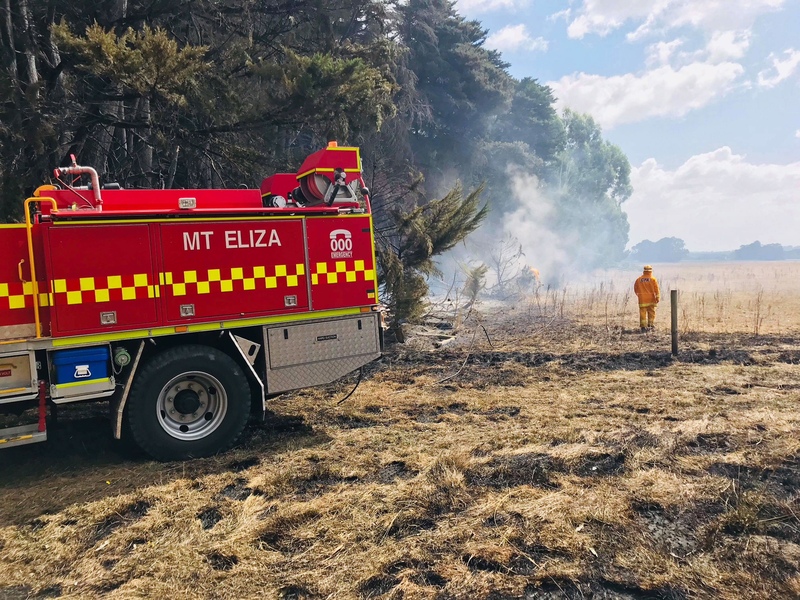 On Saturday afternoon (19th August 2017), Mt Eliza Fire Brigade attended a house fire on Millbank Drive, Mount Eliza.